Q: I’m hosting a wine tour that will include taking visitors into my vineyard. What are the risks? A: Footwear, clothing and vehicle tyres can pick up pests, diseases and weeds at one property and spread them to another. All pests, diseases and weeds are unwanted and many could be damaging. 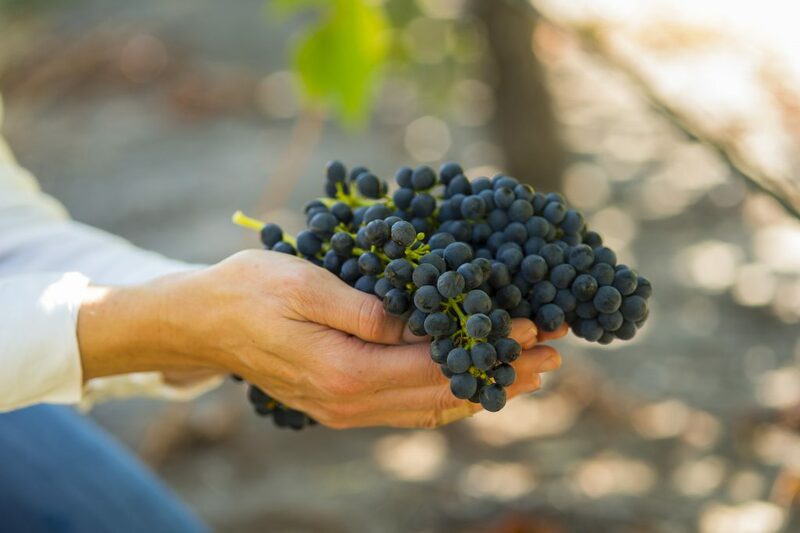 It is important you assume all visitors to your vineyard pose a level of risk, and accordingly, we recommend you incorporate baseline biosecurity practices into every tour of your vineyard. Q: How can I prevent visitors to my cellar door from walking down my vine rows? A: Erecting a visual barrier such as a hedge or a low fence will help to prevent unwanted visitors from entering your vineyard, as will some well-positioned signage. Contact Vinehealth Australia for consumer-facing photo-point signage to communicate to visitors why they shouldn’t enter your vineyard. Q: I often see visitors to my cellar door taking photos in the vine rows. How can I prevent this? A: We understand that people often want the ‘perfect’ photo for their social media feeds. We suggest creating specific photo opportunity points away from the vines, e.g., build a wooden platform on a hill that has a nice view of your vineyard and direct visitors here in conversation and with signs. Contact Vinehealth Australia for consumer-facing photo-point signage options. Q: How do I make biosecurity part of my wine tours? A: Develop a simple approach to biosecurity that works for you, starting with when visitors first arrive at your property. If a bus of tourists arrives, meet the bus in the car park and ask visitors not to wander into the vineyard. For example, you could explain that Australia has some of the oldest vines in the world and we’re working hard to keep it that way by preventing the accidental introduction of any pests, diseases or weeds. Ensure your staff are all biosecurity advocates and know how to approach the subject with visitors. Include biosecurity training in your staff induction program. Utilise signage to explain to visitors why biosecurity is important and why they mustn’t enter vine rows without permission. Use the Vinehealth Cellar Door Kit to introduce visitors to basic hygiene practices such as footwear disinfestation, or shoe covers. Create an experience where visitors learn about your vines and biosecurity. You could create a video to show them, or show them the Vinehealth Australia biosecurity video. Q: How should I setup my visitor parking? A: Vehicle tyres can harbour soil, pests, diseases and weeds. Visitor parking bays therefore need to be set up as far away from vines as possible and preferably on a hard-pack surface. If there are natural entry points into the vineyard from the car parking area, put up biosecurity signs to communicate the need to stay out of the vines. Q: How do I setup a disinfestation station? A: Vinehealth Australia recommends you obtain the Vinehealth Cellar Door Kit which gives you a kit for disinfestation and includes instructions for setting up a disinfestation station. Q: What alternatives are there to disinfesting footwear? A: If you will allow visitors down your vine rows and you don’t want to undertake footwear disinfestation, you can instead provide visitors on-site footwear in a range of size, such as winery-branded rubber boots or work boots. You could also buy a pack of disposable overshoes. Q: Does it matter which wine regions a tour group visits before coming to my vineyard? A: Yes. This should be a key discussion prior to the tour group arriving to minimise the risk of transferring pests, diseases and weeds from infected to uninfected vineyards. You need to specify that vineyards in Phylloxera Exclusions Zones (PEZ) are visited first, followed by vineyards in Phylloxera Risk Zones (PRZ), and vineyards in Phylloxera Infested Zones (PIZ) must be visited last. More questions? Contact us via email at admin@vinehealth.com.au or phone (08) 8273 0550.